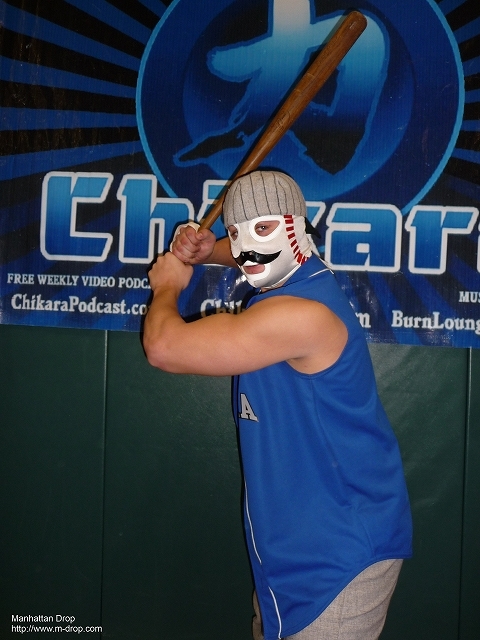 Munenori Sawa played amateur wrestling in high school. In 1998, after he was graduated from high school, he joined amateur Battlarts (called B-Club). However he didn’t pursue wrestling in college but engaged in theater performance.In 2000, he joined Snakepit Japan. He got a job at TV ad production company but resign in 2 weeks. In 2002, he made a MMA debut at Kibgdom Ehrgeiz. In 2003, he made a pro-wrestling debut vs Nagase Kancho at Tama prowresting. He was a maskman called Flash Third. Then he joined Pro wrestling r, and wrestled International Pro Wrestling and Asian Sports Promotion. In 2005, he won at All-Japan Combat Wrestling Open Championship (although there were only 3 competitors including Sawa). 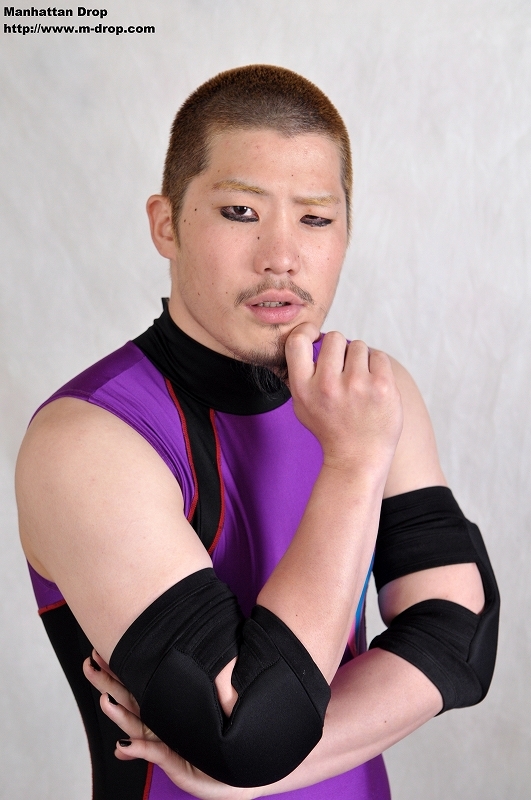 He also returned to Battlarts in 2005, and made re-debut for Battlarts vs Daisuke Sekimoto. 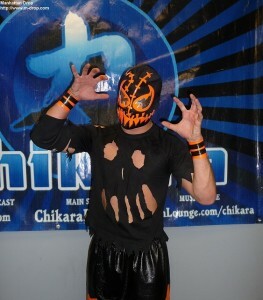 In 2006, he made a tag with Yuki Ishikawa (which he was longing for a long time) and wrestled at Big Mouth Loud. In December 2006, he wrestled against Kota Ibushi at Indy Summit but he suffered at infraction fracture rib during the match. One month later, he came back from the broken rib at Zero1-Max. Also he won against Yuki Ishikawa in June 2007 at first IGF show. This is the first time he won over his trainer, Yuki Ishikawa. In September 2009, he suffered from cervical hernia and took a month break. On his comeback match against Kohei Sato & Kamikaze, he & his tag partner, Ikuto Hidaka, retained NWA Intercontinental Tag Team Championship. On January 17, 2010, he made US debut at EVOLVE1 against TJP, and retained his first winning in US by Omanji-Gatame. He has few other characters. Famous one is Lingerie Muto, which he wears skinhead wig and women’s underwewar and does Keiji Muto’s moves. Also SAWACO is another funny character which is limited to women’s wrestling matches. He is a big fan of Jackie Chan, Sammo Hung and Yuen Biao who are very famous actors from Hong Kong.